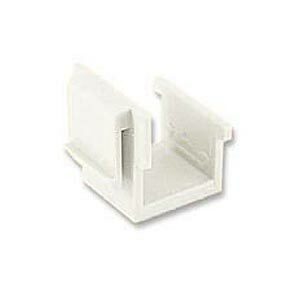 BLANK PLUG FOR KEYSTONE PLATE, WHITE. Fill in unused RJ-45 or BNC ports on a network faceplate with blank plugs. See list below for compatible patch plates.